Holland & Company are certified public accountants that provide personalized tax and accounting services for small to medium-sized businesses and individuals. Since 1990, they have helped clients in the greater Chicago metropolitan area, nationwide and internationally. Specializations include On Demand Accounting Services; Business Accounting and Fiscal Services; Tax Services for Businesses and Individuals; QuickBooks Hosting and Consulting. Clients receive the price and reliable service of a smaller firm and the value, resources and knowledge of a larger firm. Holland & Company has received a positive Peer Review every year since 1990 and is in Good Standing with the American Institute of Certified Public Accountants (AICPA) and Illinois CPA Society (ICPAS). Holland & Company is an active member of the Illinois CPA Society (ICPAS), American Institute of Certified Public Accountants (AICPA). 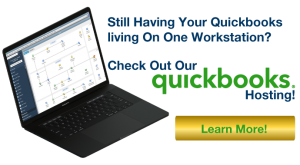 The Firm has been training and consulting clients on QuickBooks for over 25 years. Contact us to to learn how we can put our experience and expertise to work for you! Servicing the following areas: Naperville, Wheaton, Aurora, Downers Grove, Woodridge, Bolingbrook, Batavia, Carol Stream, Elmhurst, LaGrange, Oswego, Romeoville, Chicago, Glendale Heights, St Charles, Schaumburg, Addison, Hoffman Estates. We do business and individual taxes in all 50 states. © 2018 Holland & Company CPA's P.C. Taking your business and personal success to the next level!